Quality Kraft wedges with high clarity window. Long life, heat sealable wedges to pack the perfect sandwich. 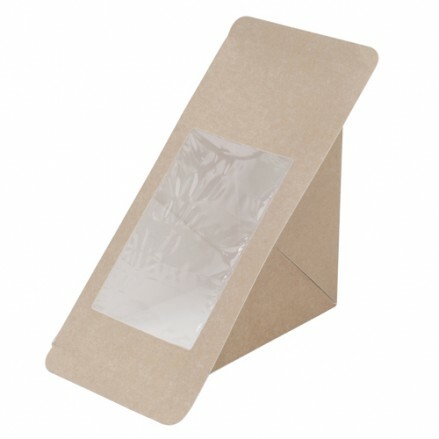 600 per case 78 mm Heat sealable Kraft sandwich wedge Brown Deepfill versi..